Dear friend, each missionary’s deputation experience can be as divers as the country, culture, and language to which God is guiding him to minister. 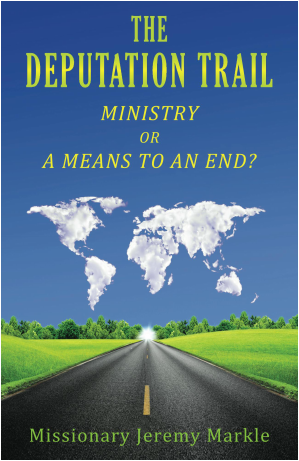 The purpose of this booklet is not to be the final answer to deputation’s questions nor to provide the secrets to a fast and easy deputation ministry, but rather to help the ministry process by presenting biblically-based philosophies and practical tips to guide you through a God-honoring, church-expanding, and believer-edifying, pre-field ministry. 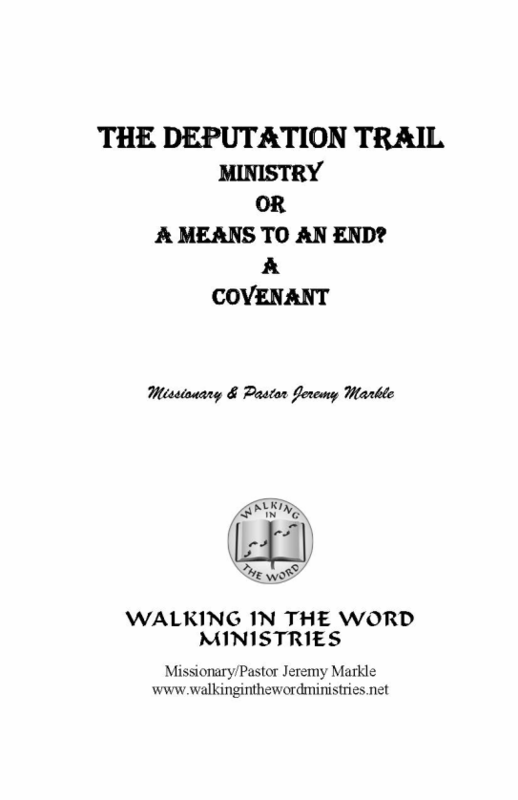 As I seek to be helpful by documenting a few practical principles for deputation ministry, I am very aware that I am not an expert on the subject. There are individuals who could easily expand upon my work and provide a more detailed resource. However, I pray that what I learned during my six months of part-time deputation (which was begun less than one year after 9/11), and two years of full-time travel before language school training, and finished by six months of travel before leaving for the field with over 100% of our budgeted support can be of some help to those who follow. These lessons were not learned in the isolation of my own personal wisdom, but through a mixture of personal study and experience, assisted by the counsel and insights of others who God directed into my life before, during, and after my deputation ministry. There is no doubt that any "success" I saw on deputation was not based on special man-made formulas, but on God’s graciousness. My deputation trail began with a direct answer to prayer and ended when God provided my last meeting and fulfilled my budget requirements. Therefore, I praise God for His goodness in the lessons I have learned, as well as those I have been able to spiritually encourage during this time of ministry travel.